Comedy Central’s newest series seeks to prove that there is no better combination than rampant intoxication and middle-school level American history. An adaptation of the “Funny or Die” original web series, Drunk History sees various comedians and actors being filmed after they’ve gotten completely sloshed and then trying to explain a certain historical event to the camera. Accompanying these slurred oral reports are costumed reenactments that feature stars such as: Jack Black, Adam Scott, Will Forte, and Fred Willard. Each episode of the series will focus on a different American city and look at certain historical events connected to them. Tonight’s premiere took a look at important moments from the history of Washington D.C., including the Watergate scandal and Lincoln’s assassination, and the time Elvis and President Nixon met in the Oval Office. The success of each sketch depends largely of how funny the narration from each drunken comedian is. The first episode features the plastered historical ranting of comedians Matt Gourley, Allan McLeod, and Eric Edelstein. All three are suitably drunk throughout, leading to a good amount of vomiting and regret. One would think developing a 22-minute show from what started as 5-minute YouTube videos would cause serious pacing issues, but since the show features three separate stories being told, there are only minimal differences from what you can normally see online. The problem that does arise is that the viewer no longer has the convenience of ending the video if they don’t find it funny and searching for another Drunk History skit online that better suits them. If you don’t really care for the Watergate or Lincoln sketches, you’ll have to sit through them in their entirety to get to the next one. The sketches themselves range from very funny to painfully dull, but still never reaching the heights of the better Drunk History sketches from the original “Funny or Die” web series. The Watergate sketch hits its stride early and never lets up thanks to a great All the President’s Men styled reenactment featuring Nathan Fielder and Bob Odenkirk and a fantastic recollection of the event from Gourley that is as disjointed as it is hilarious. The Lincoln sketch is really all about the Booth brothers (Will Forte and Adam Scott) and their forays into acting, and goes on far too long as McLeod meanders through his drunken monologue. An appearance by Stephen Merchant as Lincoln is a wonderful touch though. 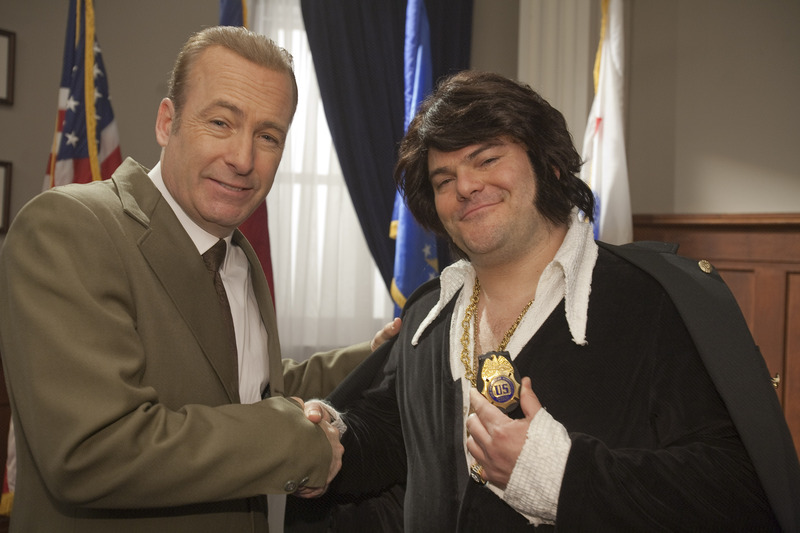 The final sketch, which takes a look at Elvis meeting President Nixon in order to get a Drug Enforcement officer’s badge from him, falls flat on its face due to simply uninteresting subject matter that offers hardly any laughs. A spirited take on the event from Edelstein can’t save the sketch, nor can appearences by Jack Black and Dave Grohl. In the end, it all comes down to how much you enjoyed watching the original sketches online. Those who already are fans of the series will find enough new material here to tune in again and again. Someone who has never seen the series before might find it worth their time, although I’d advise to check out the web originals first before diving in.